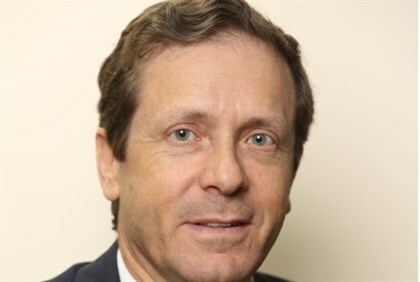 Opposition leader MK Yitzhak Herzog (Labor) was assured by officials in Washington on Tuesday that the United States will not compromise on the issue of Iran’s nuclear program. Herzog met at the White House with President Barack Obama’s chief of staff, Denis McDonough, and deputy national security adviser Tony Blinken, and told them that the fight against the Islamic State (IS, formerly ISIS) is just as important as trying to stop Iran’s nuclear program. Israeli media reported that the two officials assured Herzog that alongside the common global struggle against the IS, the United States does not intend to change its position regarding Iran’s development of nuclear weapons. “A nuclear Iran is a threat to Israel and the world and we cannot compromise on this issue,” Herzog said after the meeting. “I appreciate the American position that understands that one threat does not exclude the other, and the fight against IS, despite its central importance to the international community, does not reduce the danger of the Iranian nuclear program,” he added. “Despite the fact that the Israeli government repeatedly insists on quarreling with the American administration, I found in the White House attentive positions that understand the situation and provide full support to Israel and its interests,” he concluded. Iran and the six world powers are holding talks on a permanent nuclear agreement after they failed to meet a July 20 target date for an agreement and set a new deadline of November 24. The six powers – the United States, Russia, China, France, Germany and Britain – want Iran to scale back its nuclear program in exchange for phasing out tough sanctions. Iran has been taking an increasingly aggressive line in demanding its “right” to enrich uranium, with Iranian Supreme Leader Ayatollah Ali Khamenei recently saying Iran “needs” 19 times more nuclear centrifuges than the amount being offered by world powers.